For a luxury crossover SUV, look no further than the nearly new and used BMW X3 cars we have for sale here at Motorpoint. Not only do these quality vehicles feature the impressive design and driveability you expect from a BMW, they’re spacious and dependable, making them ideal for use as a family car, or as a business vehicle. 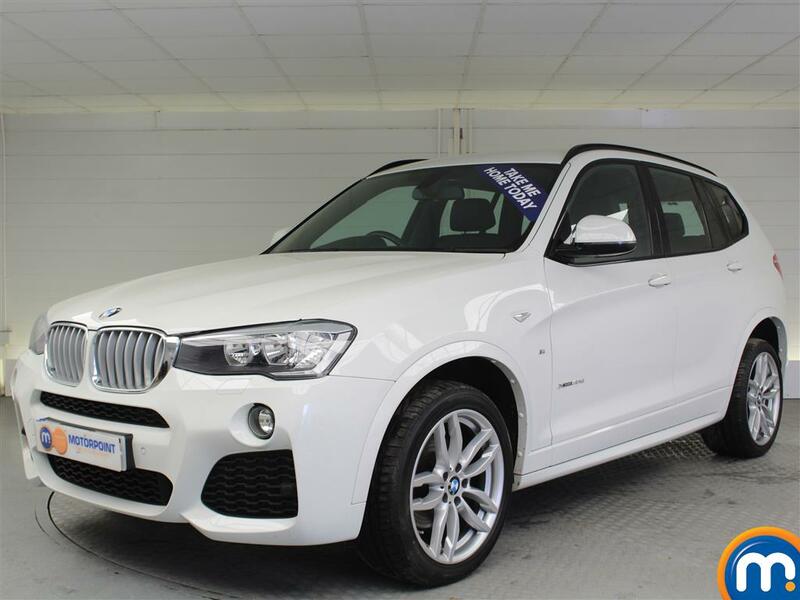 Our range of second-hand BMW X3 cars can also offer you a variety of options. This covers everything from different colours, trim levels and more. To find the model for you, you can filter our range by using our search tools and narrow your options by these features, as well as by price, mileage and even the economy the vehicle can offer. Alternatively, you can simply browse our listings of used and nearly new BMW X3 cars and get in touch with our dealerships. We also offer part-exchange and finance options on any purchases from this range.